I LOVE what you are doing here. 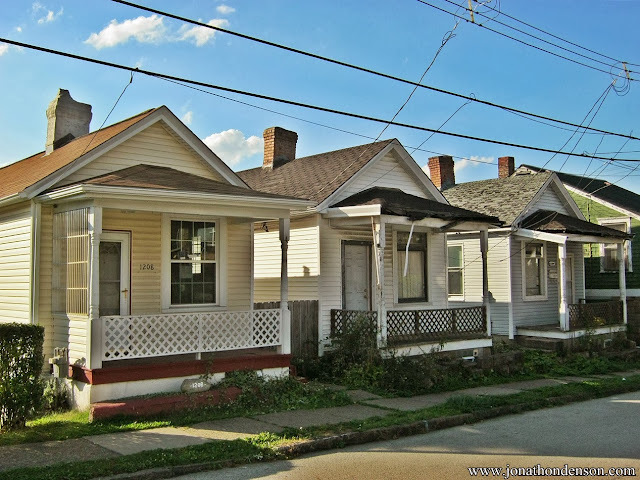 I thought I knew a lot about "typical" Pittsburgh/Western PA houses, but I have never seen shot gun houses in our area before. thanks for your hard work! You made me homesick. I grew up two towns over from McKeesport. For special occassions sometimes we would go to Tillie's Italian Restaurant in McKeesport and wait in line to get a table and then have lasagna. West Newton is close to McKeesport and also has some interesting buildings. There's a few Victorians downtown. There is one house in particular on the road that runs parallel to the river that is early 1800's, it was a gift shop for a short time. Its on the same side of the river as the abandoned train depot. The passenger train depot has "great bones" as some people say and there was some rumor someone was going to try to make a restaurant out of it but nothing came of that rumor. There's 3 more around the corner in the shot where you see the staires. 2 of them are in need of some TLC but the third is amazing. I read the meters on those places! The second house up from the brick house used to belong to my grandmother. That was many years ago! I grew up one block over from these "Shotgun" houses on Maple St. The hill in the last photo was prime sled riding grounds in the Winters of the late 80's, early 90's. It was never overgrown as shown in the picture. I spent many days as a youth playing (hockey, baseball, football, rollerblading, "freeze tag", etc.) 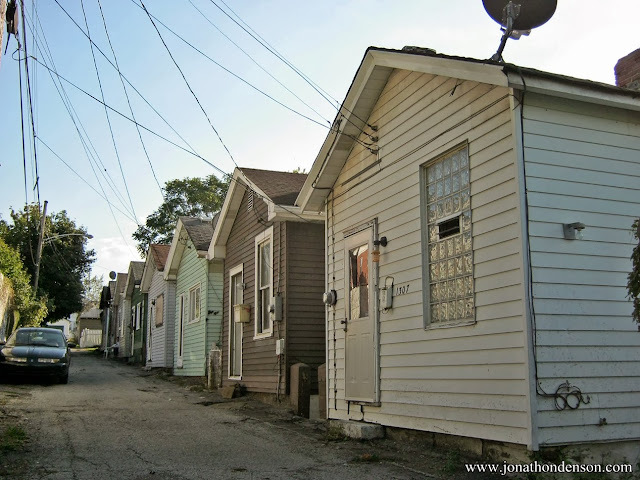 in that alley you have as Scott St. Rear (or Irene Alley). Good people once inhabited those residences. As the jobs left and the steel industry collapsed, those same good people followed those jobs. My mother still lives there and I visit a few times a year. 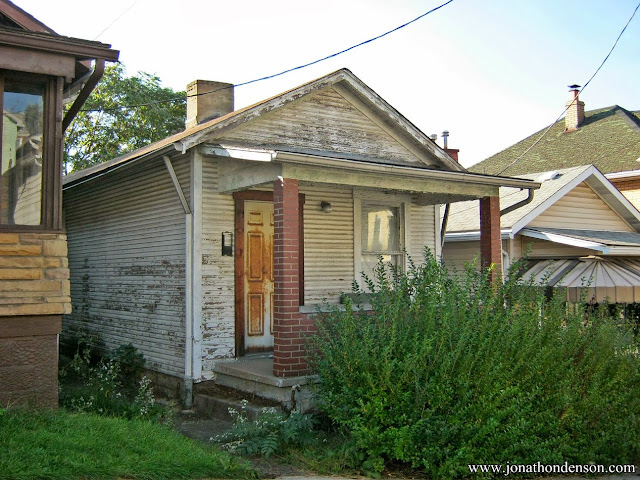 Only a very small handful of her neighbors remained through the years. 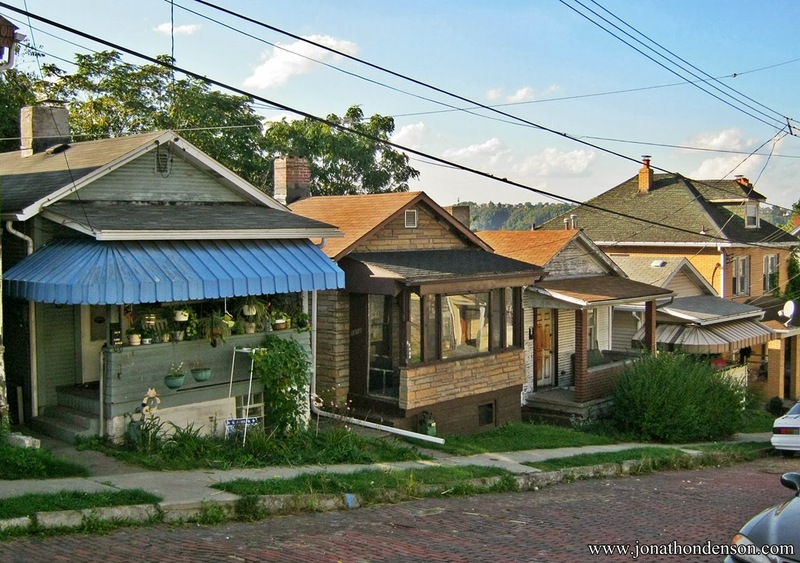 I don't want to speak ill of the city, but many of these neighborhoods pictured are unfit for raising young children. Poverty is rampant, crime is worse than ever, and city administrators don't have the support they need. However (sorry I got off topic), I love seeing your photograph's as they bring back fond memories. Yet it is bittersweet viewing them is such terrible shape. 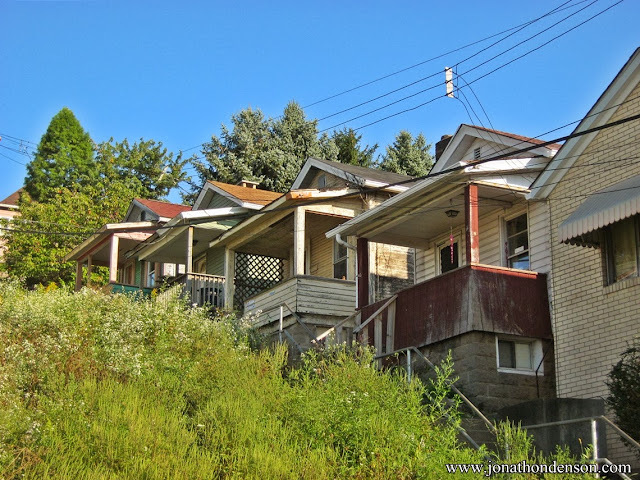 I don't know what the long-term plans or intentions are for the city, but many of these homes and buildings in McKeesport (not necessarily on this page) have been vacant since I was a boy. I admire your efforts to raise awareness and encourage those to preserve these "one of a kind" structures. And like you, I'm a big fan of preserving history. But when these "shells" have been empty for so many years, and no one has committed to their preservation, what do you do? Especially if no one shares the same interest. I grew up on Maple Street. 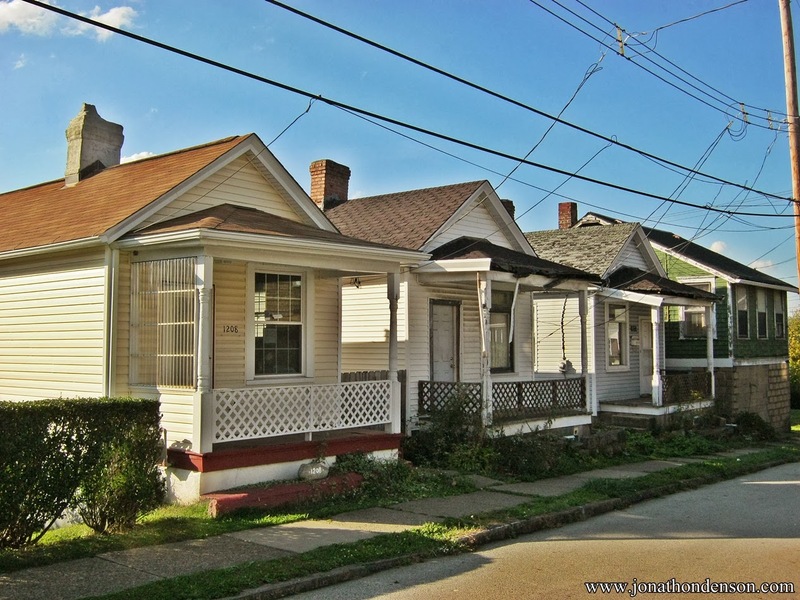 My Uncle and Aunt lived in one of the shot-gun houses on Oak St. My home is still on Maple but in very bad shape, would love to have the money to restore it.